Alive: Voice & Text Translator is a text and voice translation app that turns your device into an interpreter instantly. You can just simply speak to the phone and it will translate your voice to another language. 117 languages are supported. FREE download! Paolo is a famous YouTuber. 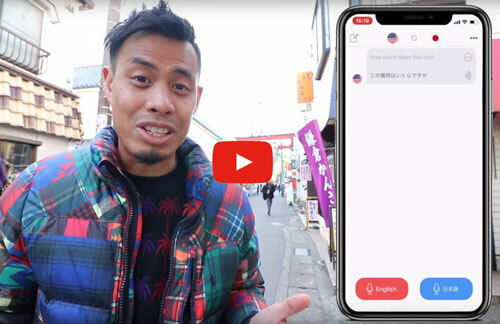 This video shows you what Paolo is saying about Alive: Voice & Text Translator. 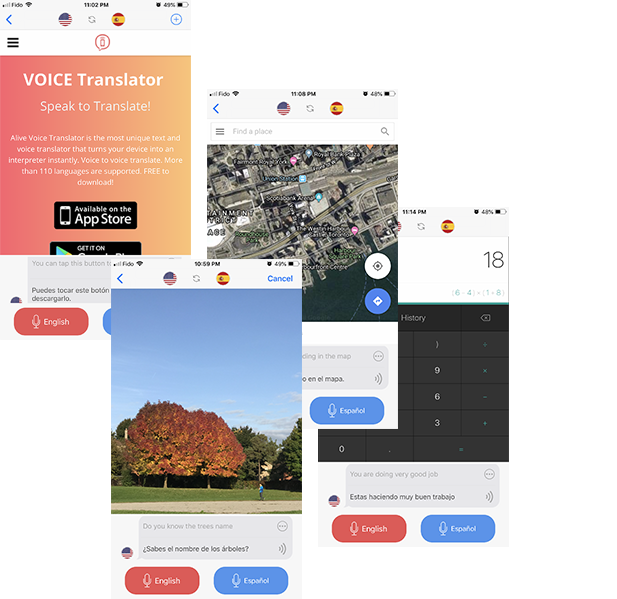 This translate app is also a Spanish Translator that can translate English to Spanish. A Japanese Translator, French Translator and Chinese Translator. Speech translations are supported, allowing you to do voice to voice conversations. Simply speak and Alive: Voice & Text Translator will do all the work for you! Communicate effectively with people from all over the world! Text translations support over 110 languages and voice translations support 63 languages. 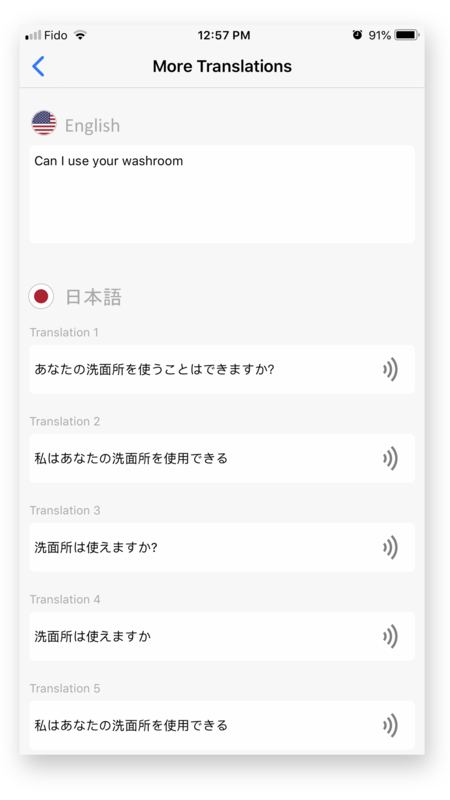 Our voice translator also supports text translations. It allows you to type or just copy & paste text straight into the app. You will get the translation immediately. Since the cellphone's microphone and speaker are on the bottom of the device, it would be easier if you turn your phone upside down. Alive: Voice & Text Translator will automatically rotate. Then, you can point the microphone and speaker to you or other people easily. Different translation engines are good at different languages. 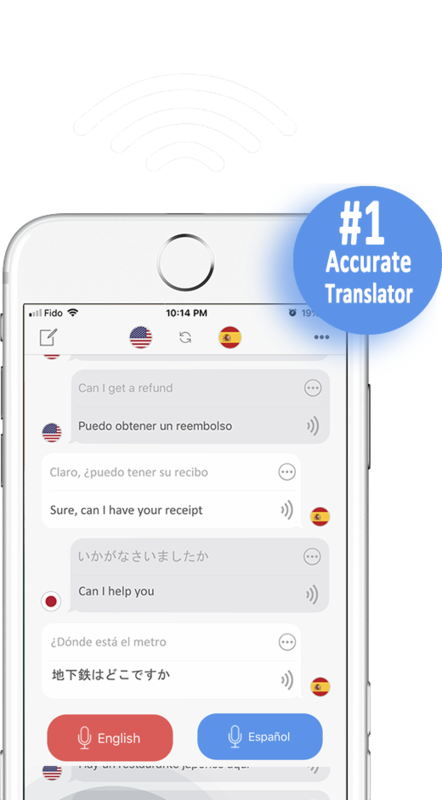 Our voice translator integrates 5 translation engines, so you can simply tap to choose the best translation from the five translations and switch the default translation engine. We integrate Photos, Calculator, Browser and Maps into Alive: Voice & Text Translator. It allows you to talk to someone who speaks different languages while using these tools. The first beta version of Voice Translator - Alive v1.0.549 released. French Translator and Spanish Translator included.